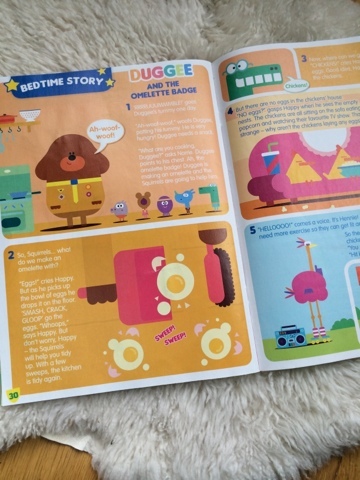 Today I'm sharing with you the CBeebies show "Hey Duggee" Magazine which launched today 21st October. 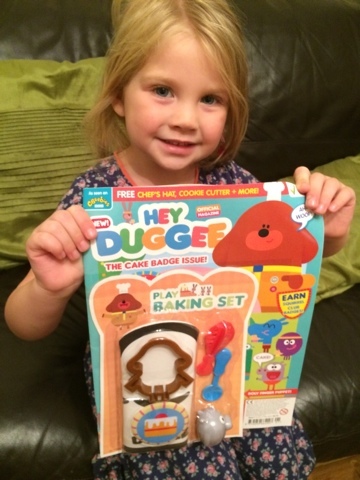 It is aimed at children aged 2-6 years (core age is 4 year olds), my daughter Maegan is 4 and adores Hey Duggee and her big brother Blake (age 6) loves to watch too. 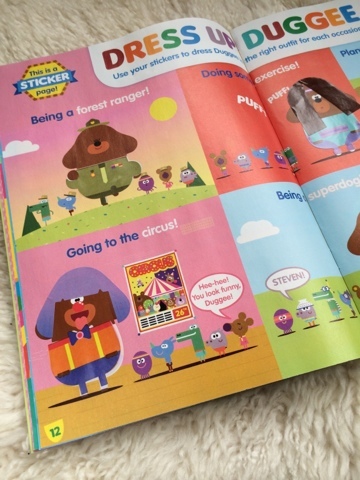 The magazine launch coincides with the new episodes being aired this week on CBeebies! 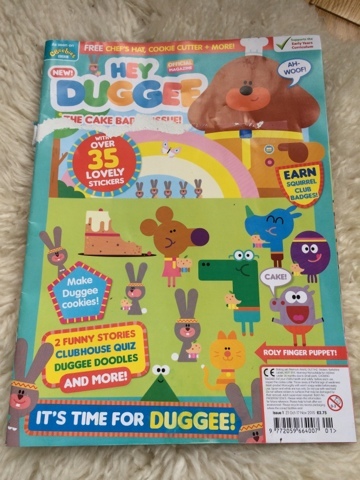 The Hey Duggee magazine is monthly and costs £2.75 published by Immediate Media. 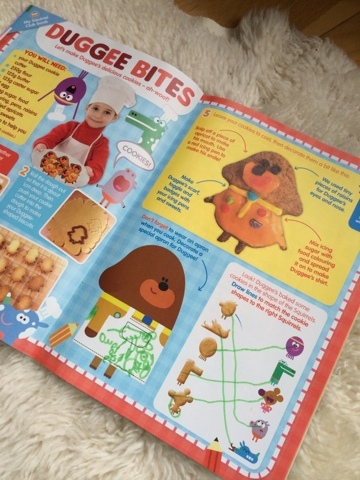 The first issue comes with a great baking set which includes a Hey Duggee shaped cookie cutter - inside the magazine is a recipe and ideas to make your own Hey Duggee biscuits. The magazine is very colourful and reflects the TV series animations perfectly. 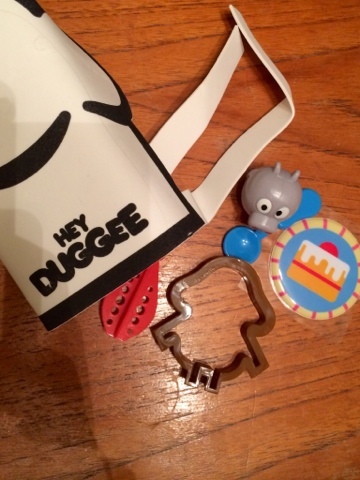 There's a good balance of activities and stories, particularly sticker activities. 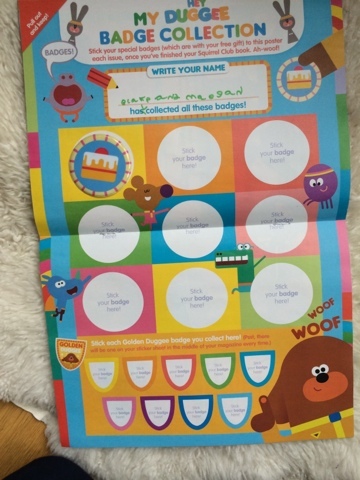 The stickers are good and the issue also came with a big badge sticker and a chart to collect them on. Hey Duggee is broadcast on CBeebies. Disclaimer - I received a preview copy of the magazine.